Kaw: March 28. March 28. Elevation below normal. Catfish fair on fresh and cut shad in the main lake. Crappie fair on minnows and jigs around structure and off of riprap near the bridges. Report submitted by David Rempe, game warden stationed in Grant and Kay counties. Lower Illinois: March 28. Elevation normal, water 44 and clear. Largemouth bass slow on crankbaits at 2 ft. all along the river. White bass fair on jigs at 3 ft. all along the river. Channel catfish good on cut bait on bottom all along the river. Crappie fair on jigs at 3 ft. all along the river. Trout excellent fly-fishing the surface, on rooster tails at 1-2 ft. and on Power Bait on bottom above Gore Landing. Report submitted by D. Tracy, Town of Gore. Oologah: March 27. Elevation 1/3 ft. above normal, water 50-55 and clear on the south end and muddy on the north end. Crappie fair on jigs in the Big Creek area, on minnows and jigs at 15 ft. around brush piles, on jigs around the lake and on jigs below the dam. White bass fair on jigs in the Big Creek area, on jigs in creeks around the lake and on jigs below the dam. Blue catfish fair on juglines baited with shad at 15-20 ft. near the channel. Report submitted by Brek Henry, game warden stationed in Rogers County. Skiatook: March 28. Elevation 5 ft. below normal, water mid 50s and clear. White bass fair on rooster tails along rocky shorelines. 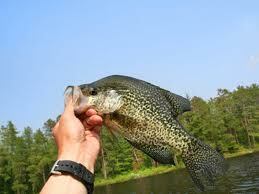 Crappie fair on minnows and jigs at 10-15 ft. Report submitted by Paul Welch, game warden stationed in Osage County. Sooner: March 28. White bass and striped bass hybrids fair on live shad and slabs. Crappie fair on minnows and jigs around brush piles. Report submitted by Doug Gottschalk, game warden stationed in Noble County. Spavinaw: March 29. Elevation slightly below normal, water 54 and dingy. Crappie fair on minnows and jigs around the dam area. Largemouth bass fair on spinnerbaits. Report submitted by Dwight Moore, City of Tulsa. Tenkiller: March 28. Elevation 2 1/2 ft. below normal and steady, water 58-60 and clear. Largemouth bass fair on soft plastic baits or crankbaits in coves. Crappie slow trolling deep running lures in the upper end of lake and on plastic jigs in docks. White bass good trolling jigs and deep running lures in the upper part to Horseshoe Bend and on jigs and inline spinnerbaits in the upper end. Report by Monte Brooks, Cookson Village Resort. Webbers Falls: March 29. Elevation normal, water murky. Largemouth bass fair on spinnerbaits, crankbaits and jig and worms along riprap, creek channels and brush structure. Catfish good on fresh cut bait on bottom. Crappie good at 8 ft. along bridges, brush piles and shorelines. Report submitted by Lark Wilson, game warden stationed in Muskogee County. This entry was posted on Friday, April 1st, 2011 at 10:14 am	and is filed under Fishing Equipment, Fishing Poles. You can follow any responses to this entry through the RSS 2.0 feed. You can skip to the end and leave a response. Pinging is currently not allowed.